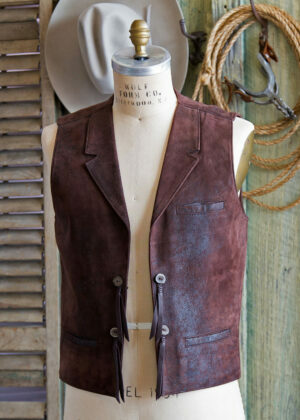 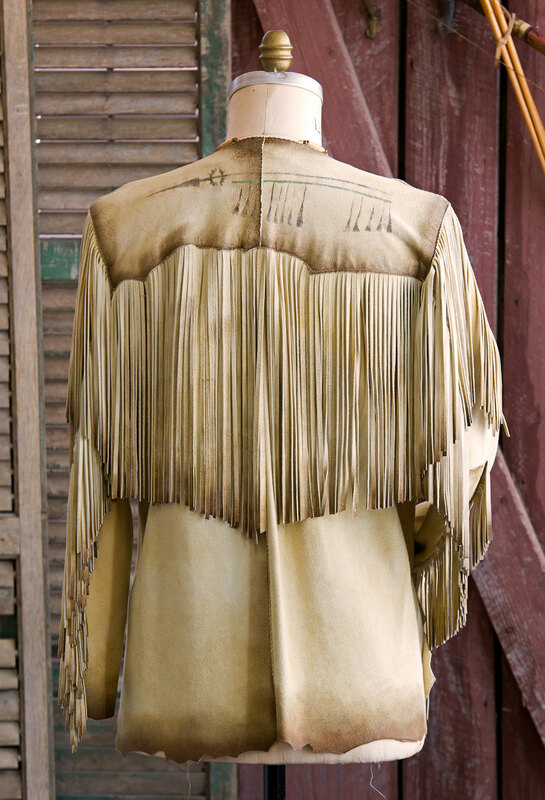 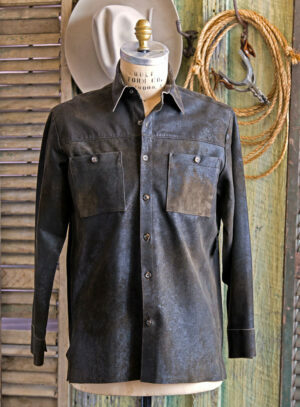 Sam Wolf Hombre Shirt made in Smoke Deer Suede. 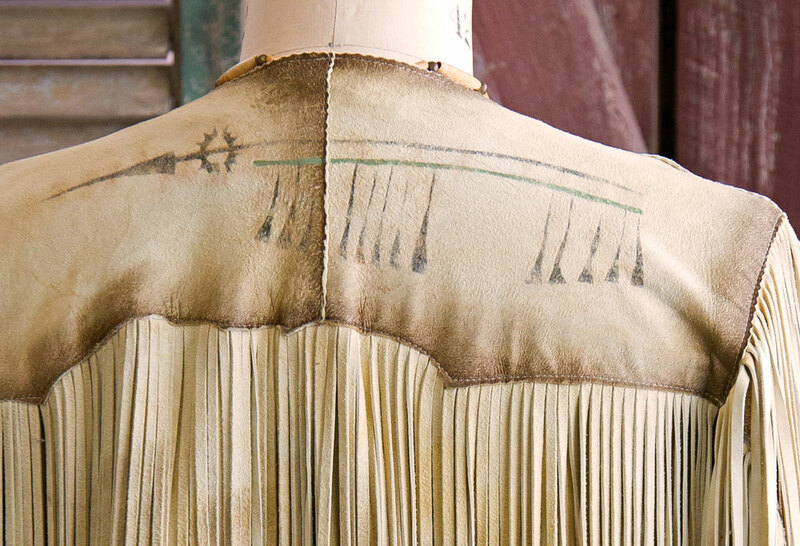 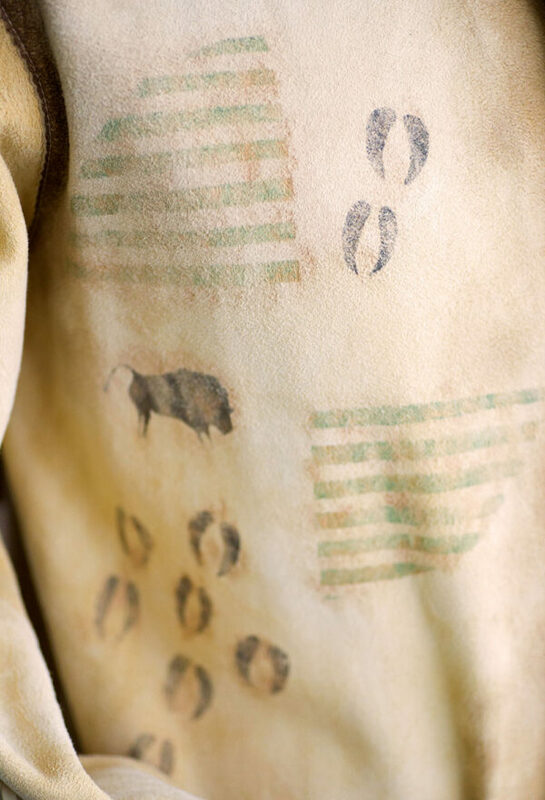 The hand painting shows rifles painted in circles, depicting guns stolen by an Indian brave and representing his wealth, buffalo hoof tracks leading the tribe to the next hunt, and a powerful spear on the back yoke. 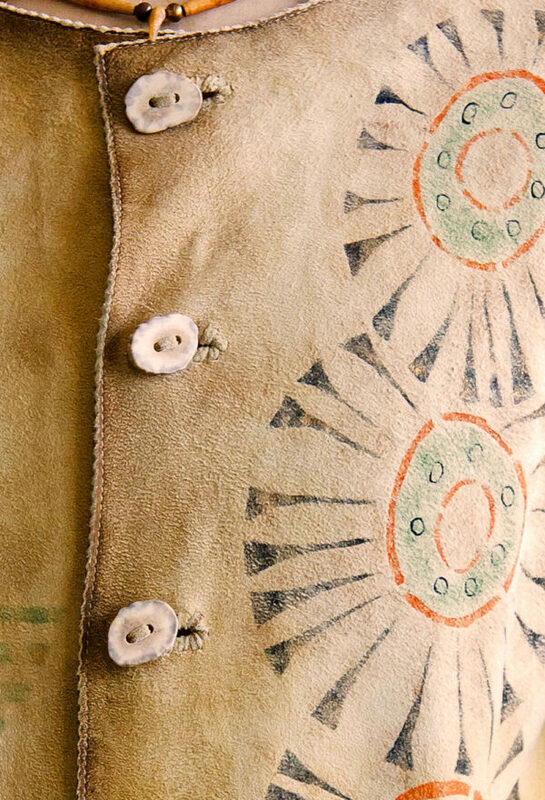 Burnished edges show well earned wear and antler buttons are bound by hand laced button holes.